The events in Jerusalem and on the Israeli border with Gaza during the past week have temporarily shifted the focus of public attention from what is happening in the Syrian arena. However, it won’t be long before it becomes clear that the Syrian front is the most important arena today. Furthermore, many of Israel’s security and political challenges will be decided within in the Syrian front in the coming decades. Why Syria of all places? Mainly because while many Arab countries have lost strength in recent years, Syria has become the spearhead of the Iranian effort against Israel. This effort, which began with Iran’s endorsement of international terrorism against Israel and continued with efforts to develop ballistic and even nuclear capabilities, has nowadays found in Syria a direct channel towards the land border of the Jewish state. When we turn to the Syrian arena, the starting point must be of an admission of failure. The great tactical successes of the Israeli air force in the destruction of some Iran’s main sites of establishment in Syria are an expression of a strategic failure. They constitute a definitive proof that these Iranian sites have been built and allowed to grow in Syria, especially since the outbreak of the civil war at the end of 2011. This was while Israel was watching from the sidelines and avoided taking any major action. During these years, Iran, which started as an ally of the Assad regime, slowly became the de-facto landlord of Syria which directly controls various areas in Syria through the Revolutionary Guards or Shiite militias. The Iranians must, of course, take into account the interests of Assad and the Russian allies, but in various areas – especially concerning establishing an offensive infrastructure against Israel – Tehran enjoys freedom of action. 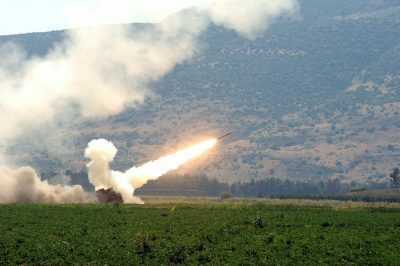 Over the past few years, Israel has refrained from operating significantly in Syria, and has contented itself with closely monitoring occurrences near its border as well as monitoring weapon shipments to Hezbollah. From time to time, there have been reports of attacks on weapons convoys or terrorists operating against Israel (such as Samir Kuntar), but these were always pinpoint operations that did not prevent Iran and its pawns from consolidating power in Syria. The more the Iranians are based in Syria, the greater the range of their capabilities to harm Israel. Already they can inflame the borders of Lebanon, Syria or both. They are building an infrastructure that will allow them to execute a variety of terror activities. The objective of these measures in the first stage is to create a new toll-taking front on the Golan border that will be used as leverage in order to exert pressure on Israel. 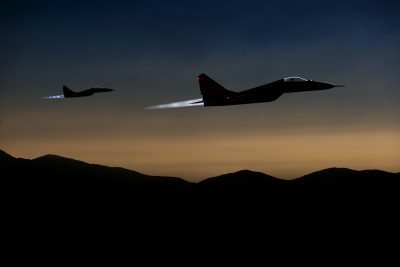 It is Israel’s duty to prepare for a long and complex battle in the Syrian arena, which will include unexpected turns. Tactical “red lines” are not enough and there is a crucial need for strategic vision. First and foremost, Israel should clarify to the United States the common interests found in the Syrian arena. This will hopefully lead to increased involvement of the US and joint actions and policies. It is important to re-clarify and emphasize the necessity of the Golan Heights for Israel’s security. In addition, efforts should be made to strengthen the Kurdish region in northern Iraq, which constitutes a barrier to complete Iranian control in Syria. 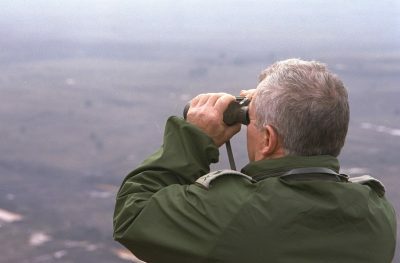 But perhaps the most severe expression of the new state of affairs is the fact that the IDF has been forced to act against Iranian sites located right on the border of the Golan, within the “buffer zone” – an area of ​​about 235 square kilometers that Israel withdrew from within the framework of the Agreement on Disengagement following the Yom Kippur War. Israel’s withdrawal was a product of Syria’s commitment that there would be no Syrian military presence or activity in this area and that the UN would supervise it. The Iranian consolidation proves that this commitment has been violated and that UN supervision is meaningless. Israel must therefore make it clear that there will be a territorial price for continued Syrian-Iranian aggression, and that any future breach of the agreement will constitute grounds for the immediate return of the IDF to all areas of the buffer zone.